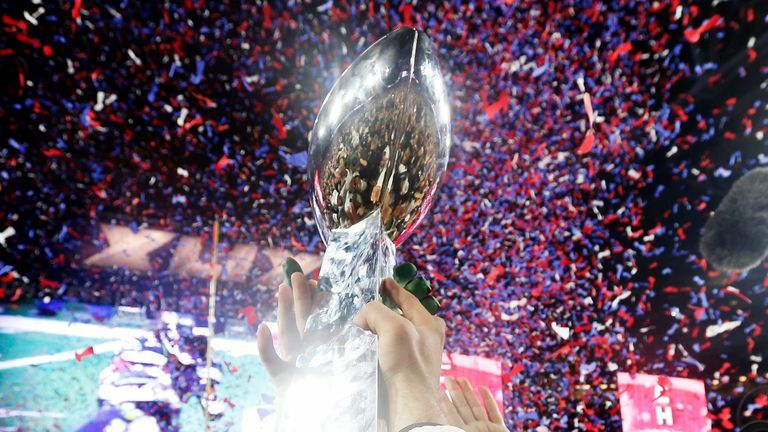 Super Bowl LIII sees the New England Patriots take on the Los Angeles Rams in the Mercedes-Benz Stadium in Atlanta on Sunday. But who wins? Well, good thing we've assembled the esteemed Sky Sports experts covering the big game - live on Sky Sports USA from 10pm - to get their predictions. Neil Reynolds and Jeff Reinebold have been duking it out all season on the Inside the Huddle podcast with their weekly NFL predictions - Jeff took the regular-season trophy with a handy 11-game advantage, but he only leads by one in their playoff battle as we head into Super Bowl Sunday - double points then, and the win up for grabs for Neil. Will the Patriots have schemed up a plan to stop Rams quarterback Jared Goff? I think the Patriots are going to beat the Rams. I actually think they'll even win by a couple of touchdowns, when you consider the way they've played the second half of the season - they've got a very strong running game and their defense is underrated. I also think Bill Belichick will have a plan for Jared Goff. He had one for Kansas City Chiefs quarterback Patrick Mahomes in the AFC Championship game. Though Mahomes finally got going late for the Chiefs in that game, I'm not sure Goff will do that. I'm hoping for a competitive game - this New England team under Belichick have exclusively played in one-score Super Bowls - but I have a feeling it might not be. The Patriots to have too much for the Rams. Could disruptive Rams defensive lineman Aaron Donald be the key to the game? If the Rams can survive early on in the game, and stay in it, then I think they're going to win this game 28-24. The Patriots have the experience, but the Rams have the better football team - they've got the most talented roster out of the two. The Rams have just got to try and make sure they don't make the game bigger than it is, because sometimes the nerves can affect you. But, they just need to remember, it's the same sized field, with the same sized goal posts. As Sean McVay prepares the LA Rams for Sunday's Super Bowl, live on Sky Sports, we profile the team's talented young head coach. But if that Rams defensive front can stop the run and get after Tom Brady, making him throw in third-and-long situations, then they'll win. And you've got to trust me and my prediction, because I crushed Neil by about 11 games in the regular season! There are so many different stories hidden within this game; the old guard of the Patriots against the new age of the Rams. It's going to be a great game, a real chess match between some great players and two awesome coaches. Man, I tell you what, this is a tough one to call, but I'm going to have to go with my old mates at the Patriots. They won me two Super Bowls. 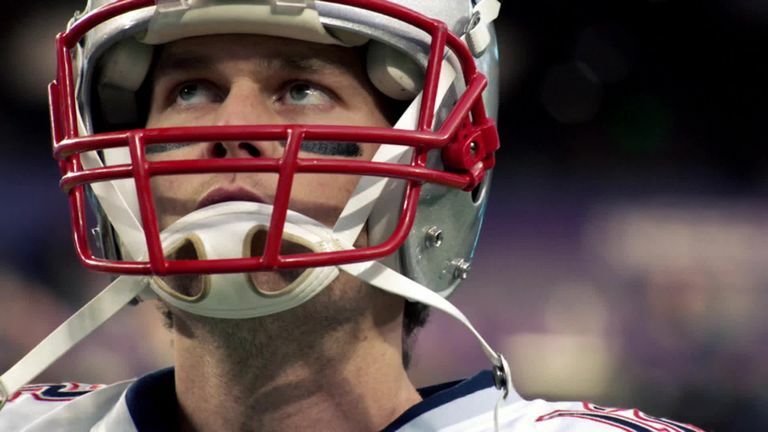 Will 41-year-old Tom Brady's experience win out on Sunday and earn him a record sixth Super Bowl win? Such a tough game to predict; two great teams. The Patriots are an ever-evolving team - they roll out a different game plan each week - and with the Rams you're talking about just an incredibly talented team. On offense and defense they're full of stars. But, in the end, I think the Patriots' experience is going to be just enough to give them the edge. I think it will be close, but I'm taking New England to win by three. I've got to go with the Patriots. A lot of people believe they've won it enough, and it's time for new blood, but not this time. The Rams are a great team and do great things, but it comes down to coaching and how Belichick approaches this game - even though New England may not be the most talented team, I believe they'll find a way to get it done. I see them winning by at least 14 points. I've been thinking about this long and hard, but the more I hear people back the Patriots, the more I believe in the Rams. I think Sean McVay is an incredible mind, and we'll see things from this Rams offense that we haven't seen before. Plus, Goff should not be underestimated. If he can keep his cool, hold his nerve, and Aaron Donald can get to Brady, then I think the Rams will surprise everyone on Sunday. Will there be a repeat of the Patriots's Super Bowl XXXVI win over the Rams from 17 years ago? Last year, Belichick never saw 'The Philly Special' coming. It's not often he gets out-coached and, back at the Super Bowl again, I think he may have a chip on his shoulder. The Rams are back here for the first time in 17 years. The last time they were in a Super Bowl, it was the Patriots that beat them and I see history repeating itself. February 3, 2002, the Patriots beat the Rams and February 3, 2019, I see it being the same result, although this time I see New England winning by double digits.